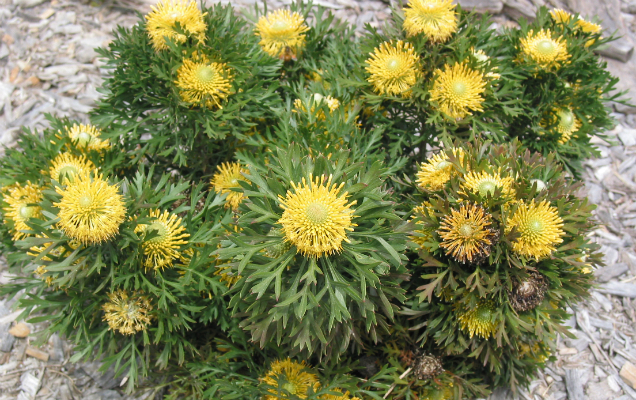 Isopogon anethifolius “Sunshine” is a small shrub that grows to about 1 m by 1 m. It bears yellow flowers in spring. It prefers to grow in full sun and well-drained soil. It is drought hardy and tolerates light frosts.